Russia has a broad set of laws regulating labour relations between employers and employees. The main piece of legislation is the 2002 Labour Code of the Russian Federation (the Labour Code), as amended. In addition to this core legislation, labour relations are regulated by other laws and numerous regulations, including Russian legislation on trade unions, work safety, status of foreign nationals and others. Some of these rules and regulations were adopted in the 1930s and are still effective. Generally, Russian labour legislation is considered more favourable towards employees. It applies equally to regular employees and top managers, as well as to foreign nationals employed by Russian or foreign businesses in Russia. All employers operating in Russia must provide their employees with a set of mandatory minimum guarantees and employment-related benefits and compensations. It is a common opinion that Russian labour legislation is more about form than substance. All employers must comply with a number of rigid and formal procedures prescribed by law and must issue a huge number of documents in hard copy to formalise hiring, promoting and demoting employees, disciplining them for violating job duties and employers' rules, and terminating their employment. However, the likelihood that courts will support scrupulous employers that comply with all required formalities, for instance in cases of employment termination, is rather high. Moreover, the recent trend in court practice is to support conscientious employers, which often relates to big multinationals that comply with Labour Code requirements and pay salaries to employees in a timely manner (their employees' salaries are usually higher than the average salary in a particular region), as well as providing a number of other benefits that exceed the statutory minimum. This approach is becoming more and more widespread, especially in disputes with white-collar employees when it becomes evident to the court that employees are abusing their rights and that the aim of their claims is to obtain a golden handshake rather than having anything to do with violations of their employment rights. Russian legislation entitles employees and employers to participate in individual employment disputes and collective labour disputes and sets out special procedures to resolve them. There are no special employment tribunals in Russia. Employment disputes are resolved by the courts of general jurisdiction. In addition, employment disputes may be heard by commissions on employment disputes. Under the Labour Code, the commissions on employment disputes (the Commissions) are formed by equal numbers of representatives of the employees and the employer. The consideration of labour disputes by the Commissions is not an obligatory step, so the employee may refer his or her claim directly to a court, omitting the submission of a claim to a Commission. In practice, very few organisations form Commissions and most employment disputes are considered by courts. Employees and employers are entitled to commence a court action against each other on a number of issues when they believe the other party has violated their rights. When filing a lawsuit against an employer, employees do not have to pay a state fee. It is possible to extend the limitations period if the court is provided with justifiable reasons for why it was missed. The procedure for consideration of employment disputes by courts is strictly regulated by the Russian Civil Procedure Code. In general, a court considers the merits of a case and if it finds a violation of the claimant's rights, the court will make a decision in favour of the claimant. The consequences of the decision will differ from case to case. In particular, the court may request the employer to pay the salary or other sums due to the employee, reinstate the employee at work, compensate for moral damage to the employee or request an employee to compensate for damage caused to the employer, among other things. For instance, if the court finds that an employer has dismissed an employee in breach of law, the dismissal will be held to be illegal and the employee will be reinstated at work (if he or she so requests). If the dismissal is found to be illegal, the employer will be ordered to pay the employee his or her average earnings for the period from the date of dismissal until the date of reinstatement or the court's decision. In addition, the reinstated employee is entitled to moral damages (in disputes over dismissal, moral damages are normally an insignificant sum of not more than 20,000 roubles6 as well as reasonable compensation for expenses incurred by the employee's attorneys, who are, in practice, compensated in considerably low amounts). The decision of the court of first instance may be challenged in an appellate court within one month of the date the final decision on the case was issued. If the decision is not challenged, it comes into force upon expiry of the term of appeal. Particular decisions on labour disputes (i.e., on the employee's reinstatement at work and on payment of salary for three months) are subject to immediate execution (i.e., even prior to the date it comes into force). Importantly, if the statute of limitations has expired by the time the lawsuit has been filed and if the other party so claims, this would serve as an independent basis for refusing to satisfy the claim unless the party manages to prove that it had valid reasons to have missed the statute of limitations. If the statute of limitations has expired, but the other party does not claim that the statute should be applied, the court cannot unilaterally apply the statute of limitations. Importantly, the parties to an individual employment dispute may conclude a settlement agreement, in which they may specify mutually agreed terms on the settlement of the employment dispute. The settlement agreement is to be approved by a judge and entails termination of consideration of a dispute. The procedure for resolving collective labour disputes consists of two stages: (1) conciliation; and (2) consideration of a collective labour dispute with the involvement of an intermediary or in labour arbitration. A conciliation procedure is obligatory in the case of collective labour disputes and only if the parties did not reach an agreement within a conciliation procedure may they proceed with negotiations on resolving a collective labour dispute with the involvement of an intermediary or in labour arbitration. The Labour Code establishes specific rules for the consideration of collective labour disputes in any of the above procedures.8 Compliance with the decisions adopted in the course of resolving collective disputes is obligatory for the employees and employers participating in these disputes. The Labour Code provides criteria for when employees or their representatives may organise a strike, which include: (1) when conciliation procedures did not lead to the resolution of the collective labour dispute; or (2) when the employer (its representatives) either does not comply with the agreements reached by the parties to the collective labour dispute or does not comply with the decision of labour arbitration.10 During a strike, employees may temporarily refuse to perform their job duties (fully or partially). The Labour Code provides rather strict rules on conducting a strike (which include obligatory notification to an employer of a forthcoming strike and the obligation of the parties to conduct negotiations during a strike to resolve a collective labour dispute). Importantly, employees are not allowed to conduct a strike in some situations (e.g., during periods of military or emergency regimes or when conducting a strike would create a threat to the security of the state and to the life or health of other people). If a strike is conducted in violation of any of the rules and procedures, it may be considered illegal by a court. In addition, during the consideration and resolution of a collective labour dispute, employees have the right to hold meetings and demonstrations and picket in support of their claims. Importantly, these collective actions may only be conducted in accordance with the procedures established by Russian legislation and entail, in particular, preliminary registration with local state authorities and the obligation to maintain public order during such actions, inter alia. Any collective action conducted in violation of established requirements may be cancelled by authorised state bodies. There are various types of employment disputes that may arise in Russia. Disputes over the non-payment or incomplete payment of salaries or other amounts due to employees have been the most common in past years. For instance, in the first half of 2018, this type of dispute accounted for about 90 per cent of all employment disputes in Russia. contesting the actions of a trade union (e.g., refusal to consent to the dismissal of a trade union leader in certain instances). 2018 produced quite a number of significant cases that have had a direct effect on law enforcement practice and procedures. The rulings of the Constitutional Court have a binding effect and should serve as guidance for other courts. During 2018, the Supreme Court also addressed a number of important employment law issues. The Plenum of the Supreme Court issued clarifications on recognition of de facto employment when no employment agreement has been signed but an employee was actually admitted to work. audio and video recordings, or witness testimonies. In the absence of written evidence of the actual amount of an employee's salary, the court can determine it, taking into account how much an employee with the same qualifications in the area usually receives. If it is impossible to establish the amount of the remuneration, the court has the right to apply a regional minimum salary. According to previous court practice, these circumstances were not usually accepted by the courts as grounds for extending the missed statute of limitation. The Plenum of the Supreme Court also issued clarifications on criminal liability of an employer's officers. In 2018, the Russian parliament (the State Duma) adopted two laws21 introducing substantial changes to the judicial system. Under these laws, new independent cassation and appellate courts will be created. As a result, the consideration of cases (including employment disputes) in appellate and cassation instances will change. As regards complaints in appellate instance (i.e., complaints about court decisions that have not entered into force), currently they are considered by a court at a higher level than the court that issued the decision that is to be challenged. Russian legislation strictly regulates which particular court considers appellate claims against decisions by a particular lower court. Under the new law, decisions of first instance rendered by regional courts will have to be considered by the newly established appellate courts. The decisions of all other courts will be considered in appellate instance in the same courts as they are currently. Basically, the appellate instance reform will not be so substantial for employment disputes as they are rarely considered by regional courts in first instance (in particular, decisions to render a strike illegal). As regards the cassation instance (i.e., complaints about court decisions that have entered into force), this reform will affect employment disputes. Under the new law, all cases of cassation instance will be considered by newly established cassation courts. The new law also sets out changes to the procedure for filing cassation claims. For instance, a complaint to a cassation court will need to be filed within three months of the date of entry into force of the contested judicial act (currently, the law establishes a six-month term); the complaint will need to be submitted to the cassation court through the court of first instance, whereas currently the complaint is submitted directly to the court considering the cassation claim. With regard to both appellate and cassation instances, all Russian regions have been divided into relevant court districts, so that each court is assigned to a particular district, and the decisions of that court should be considered by the relevant appellate and cassation courts of that district, subject to the above rules. In most cases, the appellate and cassation courts will not be located in the same city as the court that rendered the contested decision. The aim of this is to ensure the impartiality of judicial decisions in appellate and cassation instances. Again, the division into the court districts will not apply to reconsideration of the majority of employment disputes (except for cases considering strikes, etc. – see above) in the appellate instance – these cases will be reconsidered in the same manner as they are now. However, reconsideration of employment cases in the cassation instance will follow the new procedure. Under the law, the appellate and cassation courts will be considered as having been formed from the date of appointment of at least half the established number of judges for each court. The decision regarding the commencement of the activities of these courts will be rendered by the Supreme Court no later than 1 October 2019. The State Duma is also considering a draft bill that will affect the resolution of employment disputes regarding payments due to employees. Under this draft bill, an employer's failure to pay a salary or other amounts (severance pay, bonuses, vacation allowance, etc.) to an employee on time will result in the employee being entitled to receive interest (monetary compensation) of at least 1/100th of the Russian Central Bank's key interest rate on the unpaid amount for each day of delay, starting from the day after the established payment date and up to the date of settlement (inclusive). Currently, the monetary compensation for this violation is 1/150th of the Russian Central Bank's key interest rate.22 So, if this draft bill is adopted in its current version, in the event of a dispute about the payment of salary or other amounts to an employee, the employee will be entitled to a higher amount of monetary compensation compared to the entitlement under current legislation. This draft bill is still only being considered by the State Duma and, if adopted, its final version may substantially change during consideration. The current practice of considering employment disputes shows particular tendencies, some of which are favourable to employers and some to employees. 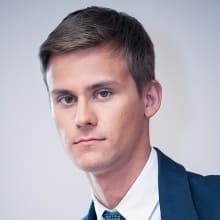 First, employees in Russia are currently actively applying recent legislative changes on resolving employment disputes that are more favourable to them (in particular, those related to the venue for hearing employment disputes and extension of the statute of limitations). We believe that the number of disputes regarding payment of salary and other sums due to employees might increase further because of the increased limitations period in such cases. In addition, employees have already been using their right to submit lawsuits at the place of their residence and will continue doing so, which might in turn increase the expenses incurred by employers for representation in courts (e.g., if an employee lives in a different, remote region). Russian courts currently have a unified approach with regard to protection of employees in the 'protected categories', especially pregnant women. Following a ruling by the Russian Supreme Court in 2014,23 the courts of general jurisdiction often reinstate pregnant women at work even if they were dismissed by mutual consent or voluntary resignation. There are also some positive tendencies for employers. Increasingly, the courts are not content merely to adopt a formal approach when resolving disputes, but are deeply analysing the circumstances. This is particularly evident in disputes involving white-collar employees, whose salaries are usually quite high, so claims that their labour rights have been violated by an employer (e.g., with regard to the provision of an additional, usually non-guaranteed, benefit or bonus) are most likely to be considered unfounded by courts. In the same way, courts are increasingly tending to take the employer's side when employees abuse their labour rights; for example, when employees try to use (and sometimes artificially create) a 'protected' status to impede a termination procedure against them (e.g., create trade unions when the dismissal procedure against them has been already launched, or take long-term sick leave). We believe these tendencies will develop further in the near future. Finally, Russia is in the process of implementing an 'electronic justice' system in courts of general jurisdiction, which is intended to reduce paperwork in overburdened courts by enabling court documents to be exchanged online. The system has not yet been fully implemented and we expect it might be several years before it becomes standard practice. 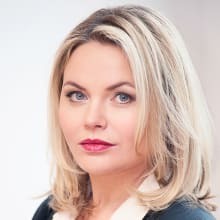 1 Elena Kukushkina is an of counsel and Georgy Mzhavanadze and Nina Mogutova are associates at Baker McKenzie CIS, Limited. 2 Article 394 of the Labour Code. 3 id., at Article 386. 4 id., at Article 390. 5 Article 392 of the Labour Code. 7 Article 398 of the Labour Code. 8 id., at Articles 399 to 404. 9 Article 37 of the Russian Constitution; Article 409 of the Labour Code. 10 Article 409 of the Labour Code. 11 id., at Article 318. 12 Article 9 of the International Labour Organization Convention concerning Annual Holidays with Pay (Revised), 1970 (No. 132). 13 Ruling of the Constitutional Court of the Russian Federation No. 38-P of 25 October 2018. 14 Resolution of the Plenum of the Supreme Court of the Russian Federation of 29 May 2018 No. 15 'On the application by courts of legislation regulating the work of employees working for individual entrepreneurs and for small-sized enterprises that are classified as micro-enterprises'. 15 Resolution of the Supreme Court of the Russian Federation No. 30-KG18-4 of 26 November 2018. 16 Resolution of the Supreme Court of the Russian Federation No. 11-KG18-17 of 3 September 2018. 17 Resolution of the Plenum of the Supreme Court of the Russian Federation of 25 December 2018 No. 46 'On some issues of judicial practice in cases of crimes against the constitutional rights and freedoms of men and citizens' (Articles 137, 138, 138.1, 139, 144.1, 145 and 145.1 of the Criminal Code of the Russian Federation). 18 'Review of the court practice on cases of employee liability' (approved by the Presidium of the Supreme Court of the Russian Federation on 5 December 2018). 19 Resolution of the Supreme Court of the Russian Federation No. 66-KG18-8 of 18 June 2018. 20 Resolution of the Supreme Court of the Russian Federation No. 80-KG17-11 of 22 January 2018. 21 Federal Law of 28 November 2018 No. 451-FZ 'On amendments to certain legislative acts of the Russian Federation' (see http://publication.pravo.gov.ru/Document/View/0001201811280063); Federal Constitutional Law of 29 July 2018 No. 1-FZ 'On changes to the Federal Constitutional Law', 'On the judicial system of the Russian Federation' and separate Federal Constitutional Laws in connection with the creation of cassation courts of general jurisdiction and appellate courts of general jurisdiction (see http://publication.pravo.gov.ru/Document/View/0001201807300021). 22 Draft Federal Law No. 83422-7 'On Amendments to Article 236 of the Labour Code of the Russian Federation (regarding increasing the amount of monetary compensation for delayed wage payments)' (see http://sozd.parliament.gov.ru/bill/83422-7). 23 Clause 25 of the Resolution of the Plenum of the Supreme Court of the Russian Federation of 28 January 2014 No. 1 'On the application of legislation governing the work of women, persons with family responsibilities and minors'.